This is a Good-buy! 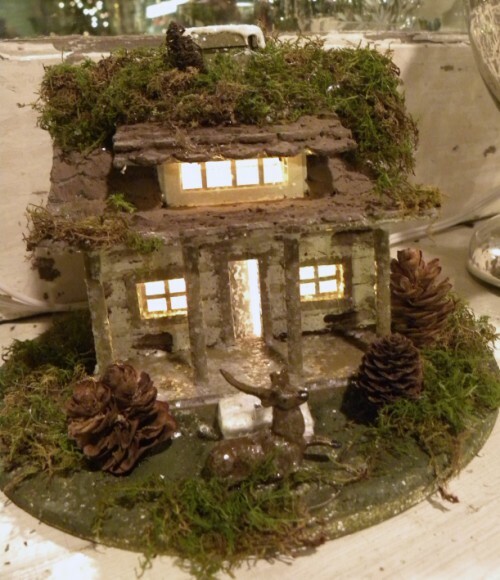 Enchanted small sized mossy woodland house for your decor. The house is cream with yellow trim and cocoa colored shingled roof, mica sprinkled and has a sweet small deer in the yard.. It is approx 5" x 5" and the base is 7" in diameter. It is lit with a light cord and is trimmed with real moss and pine cone "bushes" (much smaller than they appear here). These are perfect for displaying year round!